The old Buick always looked into building the vehicle class for today. But some constraints forced the company to fall back to the rebadged entities. Well, the one we have here is the Regal that is among the oldest cars from Buick that is still active. It is not the oldest car from Buick. But it is among those that are still alive. First, it was launched in 1973 to match the competition inaugurated by Oldsmobile. Buick really created something really fine. But it was not capable enough to sit atop Oldsmobile Cutlass Supreme. Just after 5 years, the second generation followed in. And it had a lot of variation that attracted the personal luxury car followers. After a successful decade, the third generation came in. And that was indeed yet another fine car. But it was mostly based on the Chevrolet’s powertrain. Well, the fourth generation was heavily based on the Buick Century. And the buyers usually went for the Century because of the cheap price. It did not help Regale to maintain its strength in the market. And finally, its production was halted in the favor of LaCrosse. While it was still active in the Chinese market. Soon after 2008, Buick patched up with Opel to rebadge the Insignia and bring it in the US as Regal. As soon as all the preparations were met, the Regal was relaunched into the market. That was its fifth generation. 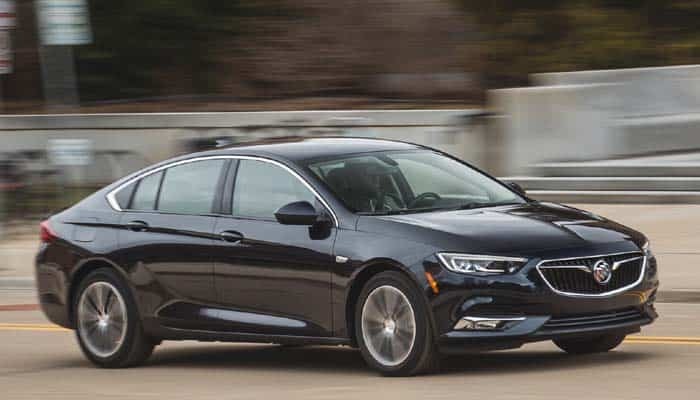 Recently Insignia jumped into its second generation, forcing Regal to dip into its sixth one. The first models were introduced back in 2017 as the model for the year 2018. Presently the Regal is available under 5 trim levels carrying the lowest base price of $25,070. While there is even a performance variant available. 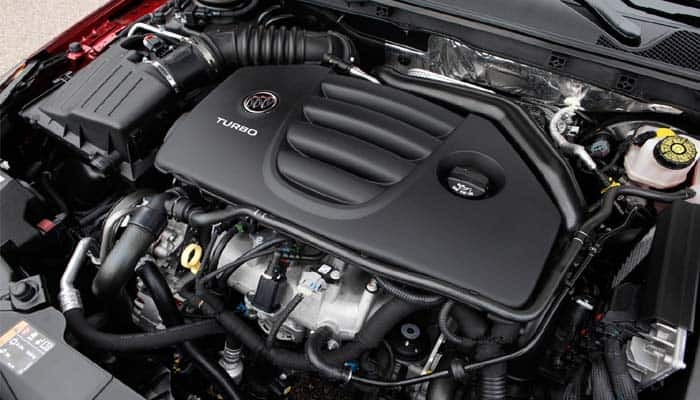 The hood of Buick Regal packs a 2.0 L 4-cylinder turbocharged engine. It is a cheeky little fella that can really appeal the sports enthusiast at a very low price. Further, it performs fine, but not as fine as its competitors. Well, the North American models come equipped with the front-wheel-drive configuration. While the all-wheel-drive configuration remains optional. The AWD Regal produced 250 hp of power at 295 lb-ft of torque. While the 9-speed automatic transmission is the only gearbox available. The Chinese market gets the same fashion, with the front-wheel-drive versions as the base material. While the AWD remains the top trim. And the base ingredient produces the same amount of power but 30 lb-ft of less torque. The US model that we tested lapped 0-62 mph within 5.6 seconds. Well, that was what we achieved after a series of test. While normally it gave us around 5.7 to 5.8 seconds. Further, the top speed so measured lied within 129-131 mph. Additionally, the handling specs are pretty fine. Thanks to Buick to reducing some weight from this car. The Regal has achieved a fine steering ability that would certainly help you to make some quick moves. And even the braking is absolutely stunning. It could stop from 70-0 mph within 163-165 feet. And a 0.87 g of skidpad hold is even commendable. 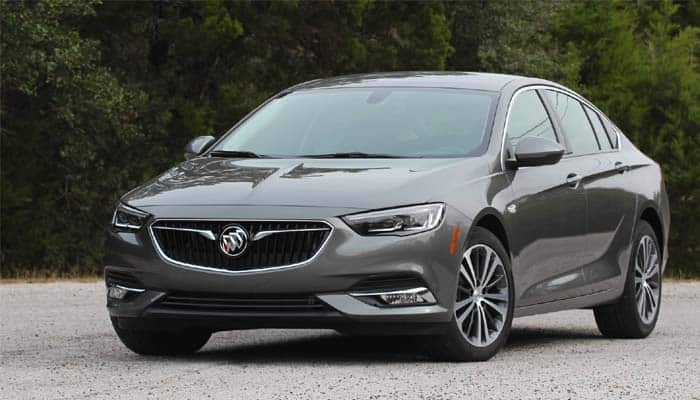 Well, Buick says that with these specs the Regal attracts 40% of a new customer. And most of its drivers and young men. Yeah, that could surely happen when the young men would find a car with performance skills at a cheap price, they would leap for that. They would prefer spending all their savings on that car. 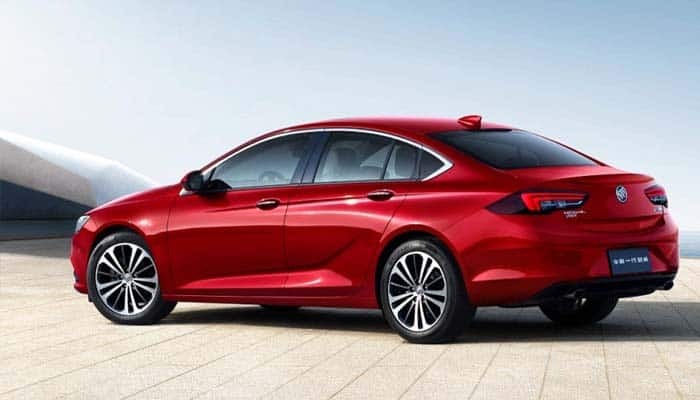 The Buick Regal is no more just a simple sedan. Instead it car Sportback rear with some fine aerodynamic application. Ahead of that, the Regal has shrunk down to 3,100 lbs from the previous 3,600 lbs. Well, that adds much fuel to the performance of the car. Further, the overall length has increased by 2.5 inches. Well, the cosmetics are as same as those in Opel Insignia. There is nothing much different, besides, Insignia is a station wagon only. And both of these cars bear a different badge. Some basic cosmetics include LED headlamps and taillights, 17 and 18-inch alloy wheels, sunroof and the fog lights. The Regal comes with a decent interior setting. There are plenty of premium details included in the design. Such as the leather seats, seating memory, and heated steering wheel. Further, the seating capacity is sufficient. And even the rows feel comfortable for the majority of heights. Ahead of that, the Regal offers up to 60.7 cubic feet of space for the cargo. Means you can carry a lot of stuff with you with the rear seats folded down. Further, it offers 31.5 cubic feet of cargo space with the rear seats up. Certainly, you can carry everything you need for your everyday ride. The 8-inch touchscreen infotainment system comes standard. Along with that, a 4.2-inch driver’s cluster display with configurable options is also standard. Well, the Apple CarPlay and the Android Auto come installed in the system. 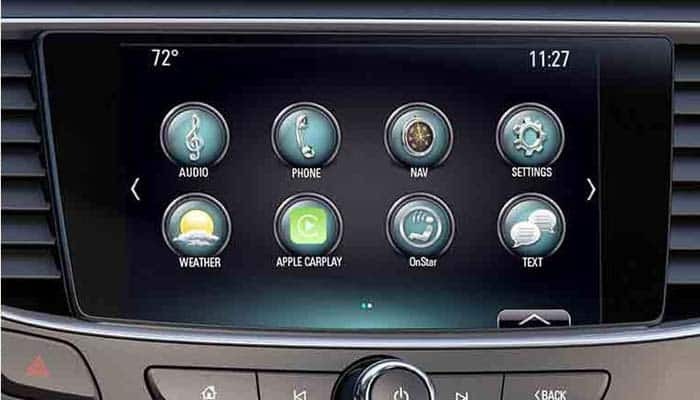 Further, it includes telephony, Bluetooth streaming, and multimedia controls. While the navigation is optionally available. Ahead of that, the Bose 8-speaker premium audio system comes equipped in the finest trim level. While it could opt in the other models on additional cost. The uncompromised safety package includes everything necessary for a safe ride. From airbags to the seatbelts everything has been installed with premium quality. While the additional safety features include lane-keeping assistant, object detection system, blind zone monitoring, collision alert, and the parking assistant. The security features are even quite handy. The OnStar safety and security features provide continuous emergency services and vehicle maintenance assistance. 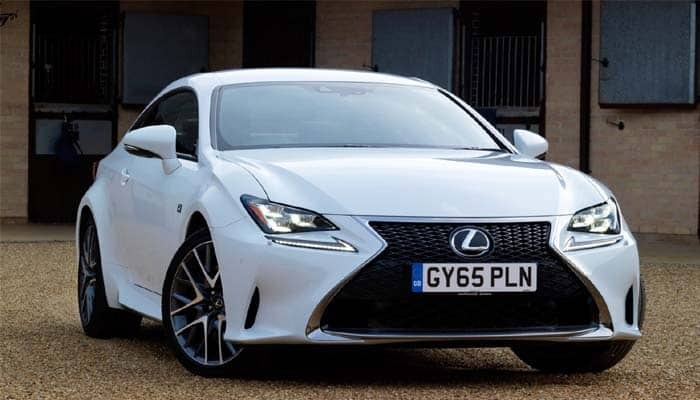 The Lexus RC is a very close competitor for the Buick Regal. The RC is quicker, sharper and beautiful. While it consumes slightly more fuel than the Regal. Else, it is even a fine car to consider. Well, the Regal is absolutely a nice option for the young drivers. It has performance, tech, sporty features, and nice appearance. And even it offers plenty of space for seating and cargo. While if you need something aggressive, the Regal might not suit your requirements.